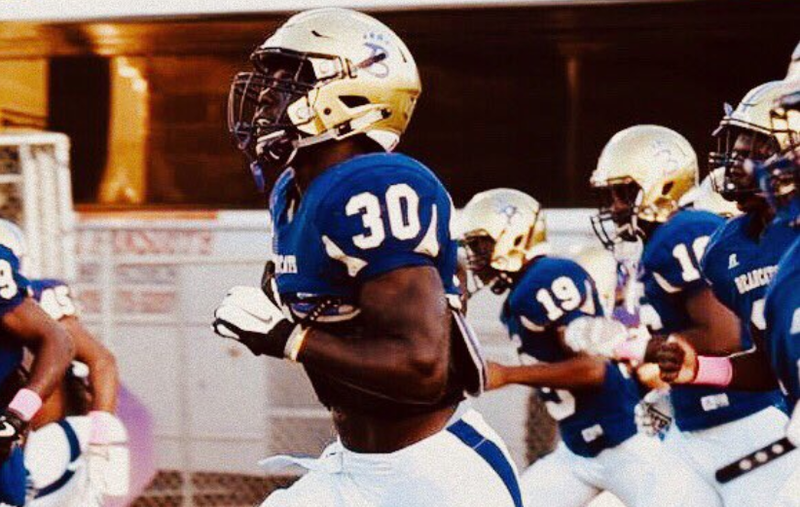 In Tennessee’s 2019 recruiting class, the most talked-about names are prospects like Wanya Morris, Ramel Keyton, and Brian Maurer. But there’s one UT commit who isn’t talked about as much as others who probably deserves more attention, and he showed that during his senior season. Roman Harrison is a three-star/four-star weakside defensive end who committed to the Vols at the end of July earlier this year. At the time, his freak athleticism and great measurables caught the attention of Vol coaches and fans, and he picked up offers at every school he camped at. It was stated by many at the time that Tennessee was getting a steal in Harrison, who was just a lower level three-star at the time. And he went out and proved people right in his senior season. Harrison was named the Defensive Player of the Year for his district on Wednesday. He was a force for Bainbridge High School down in Georgia, and his strong senior season was rewarded. During his senior season, Harrison totaled 89 tackles, 31 tackles for loss, 8.5 sacks, 17 quarterback hurries, a pass defended, and a forced fumble in 14 games according to MaxPreps. Harrison did all that while playing out of position as well. The 6-foot-2, 241-pound defender is one of the biggest players on his team, so he played a lot of defensive tackle for Bainbridge. He projects more as an outside linebacker or potentially a defensive end in Tennessee’s 3-4 defense. What’s the latest with Owen Pappoe and Tennessee? Who could not be part of UT’s class who is currently committed to them? Check out that and more in our latest recruiting podcast on RTI Premium! Harrison hasn’t released his highlight film from his senior season yet, but his junior year film shows off his athleticism, versatility, and strength while playing out of position. In 247Sports’ most recent rankings updates, Harrison saw a huge increase in his ratings. He rose 299 spots in the regular 247Sports rankings and earned his fourth star in their ratings. He’s the No. 232 overall prospect on 247Sports, and he jumped up over 100 spots in their composite rankings as well, though he’s still a three-star there. When he camped at Tennessee over the summer, Harrison recorded a 39-inch vertical and showed incredible explosion. He’s been timed running a 4.6-second 40-yard dash, and he can bench press 410 pounds and power-clean 355 pounds. Recently, he posted a picture on Twitter that caught the attention of Vol fans. Harrison looks more in shape and bigger than some of Tennessee’s current players in the photo, and he’s just a senior in high school. Right now, Harrison is expected to sign during the early signing period, but he’s not expected to be an early enrollee.